Trane’s trusted humidifiers can adjust from summer to winter to provide the right amount of moisture to the air in your home. It’s not just comfort. It’s relief for your skin. Having a dry home can be damaging to valuable things such as furniture, paintings and woodwork. 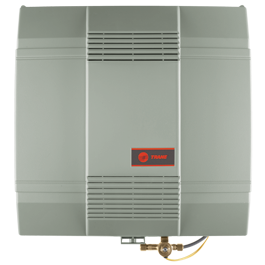 By adding a Trane humidifier to your home’s heating and cooling system, you can help ensure it won’t dry and crack. When paired with Trane CleanEffects™ technology, a Trane humidifier will not only alleviate the dryness but also give you the most advanced whole-house air filtration system. So you get clean, comfortable air that feels good all year long.